Guantanamo is the tip of America’s global torture prison network, operating covertly in dozens of countries, subjecting victims to brutalized treatment. They include Shaker Aamer, one of 52 Guantanamo prisoners cleared for transfer to countries willing to accept them. Aamer is the last British detainee, approved for release by the Bush administration in 2007. Obama officials refused to send him home to his wife and four children, despite repeated UK requests – until today, September 25. Word came. He’s going home. More on his case below. Straightaway in office, Obama promised closure. An Executive Order authorized it. 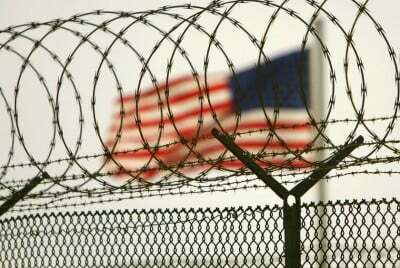 Guantanamo remains open – a blight on the national conscience. This order is intended solely to establish…a process to review on a periodic basis the executive branch’s continued, discretionary exercise of existing detention authority in individual cases. Detainees at Guantanamo have the constitutional privilege of the writ of habeas corpus, and nothing in this order is intended to affect the jurisdiction of Federal courts to determine the legality of their detention. The Secretary of Defense shall coordinate a process of periodic review. In consultation with the Attorney General, The Secretary of Defense shall issue implementing guidelines governing the process…. For each detainee, an initial review shall commence as soon as possible but no later than one year from the date of this order. No follow-up action was taken, no effort to end gross injustice – 114 detainees remain. Most are innocent victims, perhaps all, arrested for being in the wrong place at the wrong time or sold for bounty. They committed no crimes, including Aamer, a Saudi-born British national. Thirteen years ago my family was ripped apart when my husband, Shaker Aamer, was sold for a bounty and taken to Guantanamo Bay. He has never been charged with a crime. He has never faced a trial. He was cleared for release – told he could come home, in other words – by President Bush’s administration. He was then cleared for release a second time by President Obama’s administration. We had such hope, when Mr Obama said he would close the prison – finally, we thought, our family’s ordeal will be over. It is hard to describe the crushing despair of having such hopes dashed. (F)ollowing a meeting of the Shaker Aamer Parliamentary Group yesterday, which I attended, as the co-director of We Stand With Shaker, it was decided that an Early Day Motion would be submitted by Andrew Mitchell MP (Con., Sutton Coldfield), calling for the Obama administration to release Shaker Aamer, the last British resident in Guantanamo, from the prison, and to return him to the UK, to rejoin his family in London. Aamer was unjustly abducted, hooded, shackled and taken to Guantanamo on the same day his youngest child was born. Aamer was doing volunteer charity work in Afghanistan when abducted and sent to Guantanamo. He was brutally tortured and held under appalling conditions. In protest, he hunger struck many times. In retaliation, guards brutally beat and isolated him in solitary confinement. Reprieve lawyers said he’s “unrecognizable” from his healthy state prior to abduction. Reprieve’s Smith believes he remained imprisoned because he witnessed other detainees being tortured – able to explain their ordeal and his own. As this article was being written, good news was announced. After 13 years of unlawful detention without charges or trial, British media reported Aamer will be released. London’s Guardian said Obama informed David Cameron during a Thursday phone call. A British government spokesman said he’ll be released after a period of notice lasting around 30 days, then returned home to his family. Why not immediately wasn’t explained. US allegations about his ties to bin Laden were fabricated. He was never found guilty or formally charged. He committed no crimes – one of many victims of US barbarism, Guantanamo symbolizing its dark agenda. But they only just gave notice to congress, so that means that without robust intervention, Shaker and his family have to wait until October 25th at the earliest for their reunion. The UK must demand of President Obama that he should be on a plane tomorrow, so that Shaker’s family does not have to endure more of the agony of waiting, uncertain every time a phone rings. British politicians may bombasticate about our ‘robust and effective systems to deal with suspected terrorists’ but Shaker is not and never has been a terrorist, and has been cleared by the Americans themselves for 8 years.